Even though the TV quickly was shut off, the damage was done. MGM was crying about the movie’s beginning and said that he couldn’t remember exactly what was scary about it, but he knew it was scary – so scary that he couldn’t even try to remember it in order to explain WHY it was terrifying. For reference, this movie was “Cowboys & Aliens,” a 2011 movie starring Daniel Craig, Harrison Ford and Olivia Wilde. I haven’t seen it, but the plot according to Wikipedia looks pretty stupid. As a pure outsider, I would deem it “scary” in the sense that relatively high-profile stars were somehow coerced (blackmailed?) into appearing in this theatrical dud, but not “scary” in sense of Things That Go Bump In the Night. But I’m also not nine years old. Spouse and I felt bad for MGM to the point that we acquiesced to his request to not sleep alone. 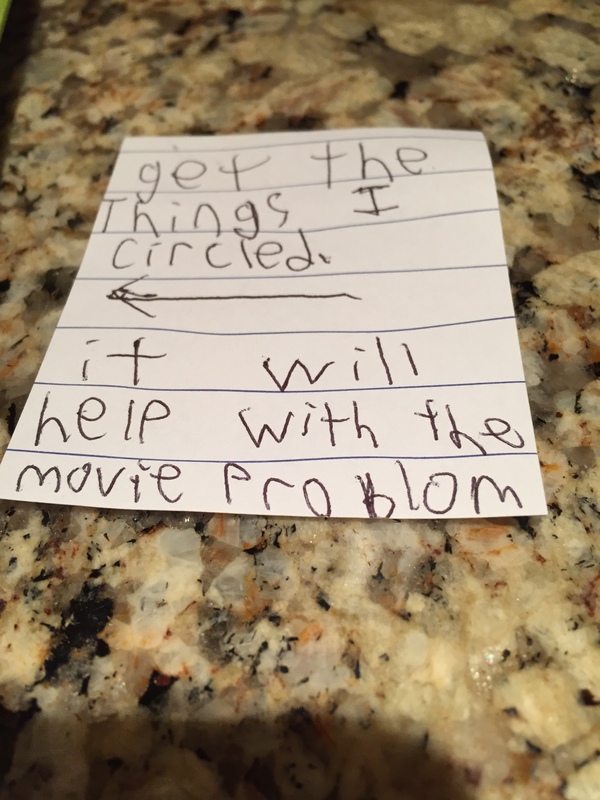 I let him sleep with me in our king bed (with Spouse relegated to the guest room or sofa) for two nights, and then I began to get suspicious over his pleas that the “Movie Problem” was still in full force. 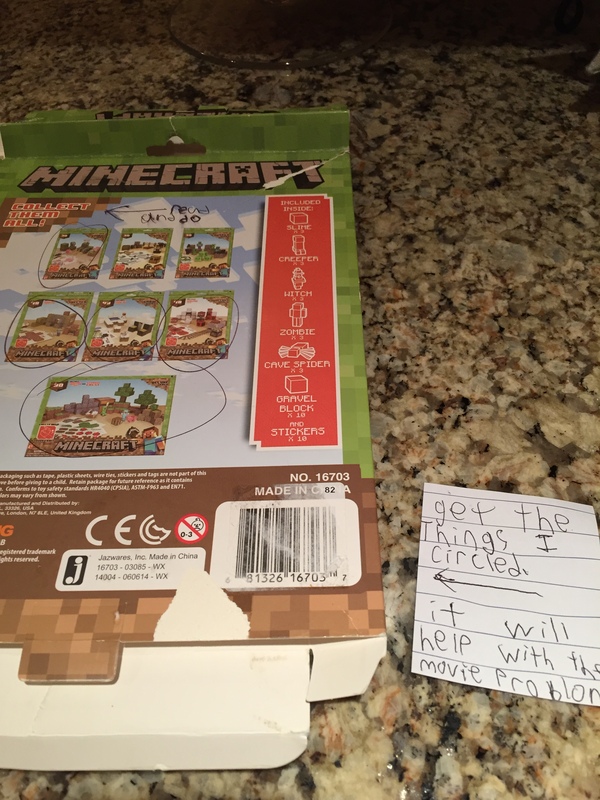 This card shows some Minecraft toy sets that are available for purchase. I think I’ve been had. Just think, it could have been seven! The writing is great. Very neat and good sentence structure! Always good to look on the bright side, right?